Personalized ceramic mugs are great giveaways that help to build lasting and personal relationships. 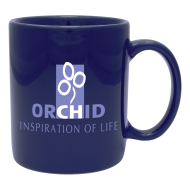 Add your logo to one of our imprinted coffee mugs and use them in your next promotional giveaway. Your customers and prospects – and even your own staff – will start their days off by using your branded promotional mug to enjoy their morning coffee or tea. 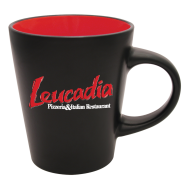 Our inexpensive promo ceramic mugs are made of the finest ceramic material and come in a wide variety of styles and colors. Custom Imprinted Ceramic Mugs – Great coffee or tea deserves a great mug! When the morning arrives, many of us are in need of some warm comfort to start the day off right. Oftentimes, as part of our morning ritual, we rush to our kitchen cabinet to find just the right ceramic mug to pour our coffee into. This is why custom ceramic mugs are one of the best promotional products. They are used day in and day out, all year long, year after year! Unlike many other promotional products, personalized ceramic mugs are solid, durable, rarely become worn out and are rarely thrown away. The Mines Press collection of ceramic logo mugs is available in a huge variety of shapes, sizes, and colors. 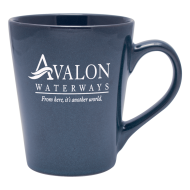 They provide a large imprint area for your custom logo – with your choice of 1 or 2 ink colors – that is fire glazed onto the mug. Best of all, our mugs are microwave and dishwasher friendly, which guarantees long-lasting promotional exposure for your brand. 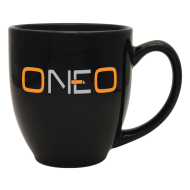 Promotional coffee mugs are extremely easy to distribute, and are always welcome gifts!